When a shipment of lethal explosives goes missing, a veteran Hong Kong policeman forms a team of offbeat young cops to track it down. These generation X law enforcers find themselves up against a similarly youthful gang boss, and the shadowy Japanese mastermind behind him. At the turn of the century, Hong Kong provides the stunning backdrop fort he explosive showdown between the law and lawless. 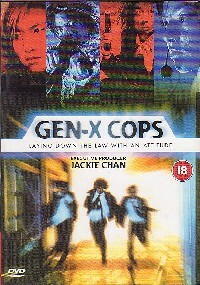 An action movie with attitude to appeal to the youth of today, that's what you've got in Gen-X Cops. The leads are young, modern, stylish, have attitude in abundance and can do lots of cool things like skydive and BASE jump and are clearly the way forward with regards to being policemen. Each of the three main leads I have mixed opinions on as I've seen as many poor films with each as I have good ones, so the jury is still out, but here they all do a pretty good job. Everything about Gen-X Cops is designed to strike a note with rebellious modern MTV generation youth. The music used, the bright, vibrant colours, the methods deployed by the young cops and portraying almost all the older cops as being wrong, back-stabbing, arrogant, out of touch and out to get the younger generation, are all things to influence the younger viewer. Benny Chan et al manage this extremely well and clearly know the mind set that they are targeting with this film. The younger generation's attention span is ridiculously short these days and to keep them entertained Gen-X Cops has the pace and excitement to always have the viewer interested. This is an action film with a few twists in the plot for those who also like a story, but it�s the action that comes first. There are seemingly dozens of action scenes, none of which are dull or mundane. The body count is relatively high, with guns being fired all over the place, there's some martial arts thrown in for good measure too, in which each of the leads handles themselves reasonably well. Sure they'll never compete with Jet Li, Jackie Chan or other proper on screen martial artists, but they make no pretence to try to. The moves are all relatively simple but the pace is fast and frenetic. Credit must be given to the film makers for trying to keep the action original, entertaining and offering something new to the action scene. Granted an explosion is an explosion, but there aren't many HK films that I know of that would go to the extent of realistically blowing up the Hong Kong Convention Centre. It�s a fabulous, iconic building, but it gets blown to smithereens in this film! This is also the only Hong Kong film that I know of that has had skydiving and base jumping scenes in it. Granted there is some trick camera work to make it look like the leads doing it, but the skydiving and base jumping is done for real. More info about this was in the special features, with the film-makers going all out and getting highly regarded professionals in to do the job - the same people that were responsible for skydiving scenes in some James Bond films among others. Performances are generally good all round, with a rather high quality, or maybe more high profile cast list. The three leads fit their roles well and do seem to have some of the cocky arrogance associated with today's youth. Sam Lee is mildly annoying again, having seemingly been typecast in the more annoying, zany character sort of roles. I'd definitely prefer to see him in more roles like his early film Made In Hong Kong. Daniel Wu is also well cast with this being one of his better films before he decided to become a rather crap actor (see Naked Weapon among others for proof). Francis Ng rounds of the more well-known cast members with another assured performance. All in this is a highly enjoyable, fast paced, action romp. It's flashy, loud, in-your-face and confident, with action scenes that hit the buttons and entertain. The audio I listened to was the Cantonese DD 5.1 track. The surrounds were used effectively throughout but maybe not as much as they could have been. All spoken word was crisp and clear, even the English dialogue sections of which there are many. Bass levels were good with the explosions packing a rather decent oomph. This being a UK released DVD I'd certainly have hoped for flawless subtitles and as best as I can tell, they are. Accuracy of translation isn't something I can comment on, but there were no grammar or spelling errors that I noticed. I wasn't expecting much from this budget UK release, but was pleasantly surprised by the crispness of the film print. 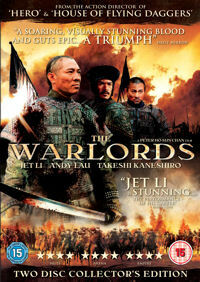 At all times the film looks good, with the vivid colours well reproduced. There was little in the way of speckles or dirt on the print and grain was also very low. I was really quite pleased with the picture. Despite being a budget UK release, there is a still a nice selection of extras to choose from. There's a bunch of teaser and theatrical trailers for the film, a so-so music video from scenes in the film, filmographies of cast and crew, production notes and lastly a "No Pain, No Gain" Making Of featurette. This features lots of interviews with cast and crew and is quite an interesting watch. All in, Gen-X Cops is a highly enjoyable film. The pace will keep everyone entertained and the plot twists will keep those that like a story with their action a little happy too. This is a film for the Gen-X generation; it's flashy, loud, fun, and rebellious and packs a lot of attitude.